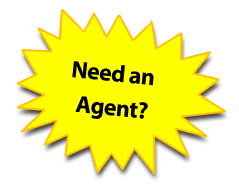 You will want to contact FishHawk Realty for professional assistance in FishHawk. Just any FishHawk Realty firm will not do you justice. Hillsborough County properties near FishHawk can also be readily accessed here. FishHawk Realty has only highly experienced and professionally regulated real estate agents. FishHawk properties are merely a portion of the area Real Estate available. So if you are looking for the convenience of Brandon, the family atmosphere of Riverview, the beauty of Lithia, the Apollo Beach options for recreation, the security of Sun City Center, the Ruskin pricing options of every level, the Seffner employment opportunities, the friendly Plant City neighborhoods, the quality schools found in FishHawk, the friends and family activities of Dover, the flora and fauna of Valrico, the spacious Hillsborough County real estate opportunities, or the night life near Tampa, Florida there is something for everyone.